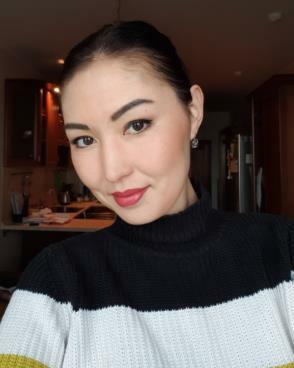 August 2, 2016 3 CommentsBy Adilia S.
Moscow, the capital of Russia, has always been a dynamic and beautiful city that inspired writers and poets of all the times. It is a modern and friendly city that welcomes guests from all over the world. Where else in the country could you find a developing business center with branches of global corporations and historical sights dating to Ivan the Terrible’s reign? It’s the perfect place to meet with your Russian girlfriend, whether she lives there or anywhere else in the regional Russia. The city is easily accessible by plane or train, has international-class facilities that will impress even the most discerning tourists. It also offers cheap accommodation for those on the budget. 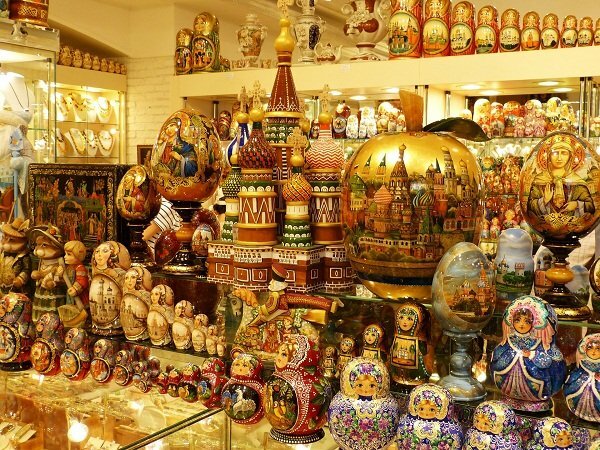 Moscow is incredibly huge and features lots of museums, palaces, cathedrals, art galleries, and other historical landmarks. One day in the capital of Russia would give you nothing except a tick on your travel list. If you are coming here, take a few days and enjoy all this vibrant city has to offer. There are hundreds of attractions to admire. We picked 10 places to visit in Moscow with someone special, to create unforgettable memories to treasure forever. 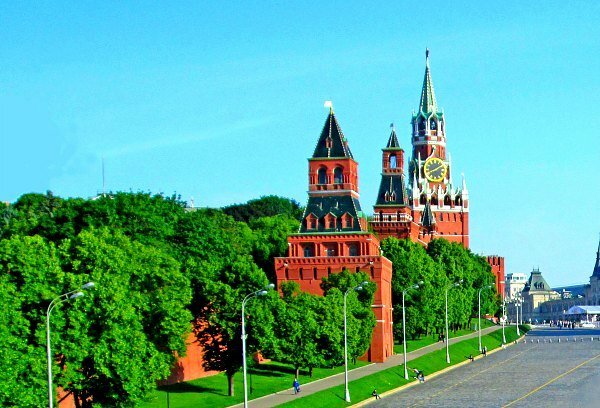 Red Square is definitely the iconic symbol of the Russian capital. No tourist would miss it when visiting Moscow. On the Red Square, you cannot step anywhere without bumping into history. The name of the square does not come from the colour of the bricks as some people may think. 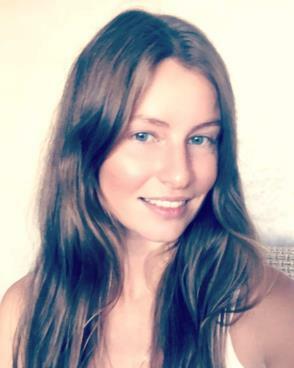 In the old Slavic language “red” meant “beautiful”. Standing on the Red square you can see the city’s most famous places of interest: Kremlin, Lenin’s Mausoleum, the central universal store GUM and, of course, the magnificent St. Basil’s Cathedral, which is featured in millions travel guides and online. Everyone has heard about the Kremlin. It’s a gorgeous political landmark of Russia. It’s been the official home of the Russian tsars since 1547. Later it was extended with cathedrals, towers, and palaces. The construction of the contemporary wall was supervised by Italian architects. 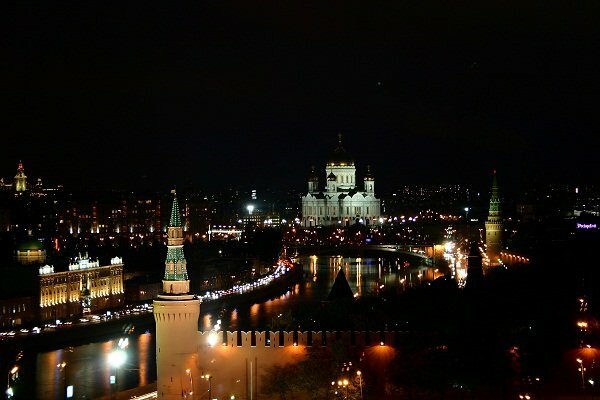 Moscow Kremlin looks amazing at night. 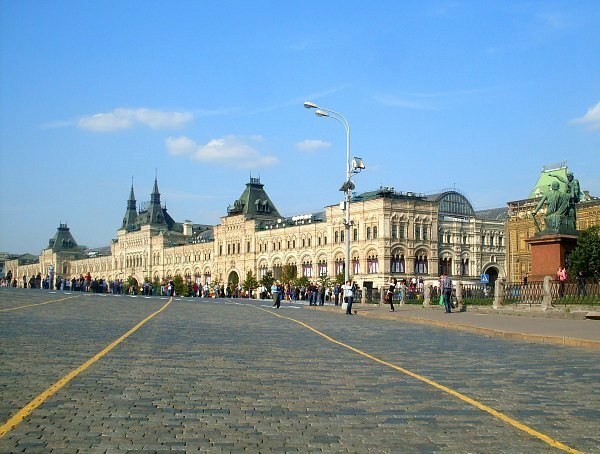 Walk to the Red Square and Kremlin, the historical building of GUM can be seen on the right. 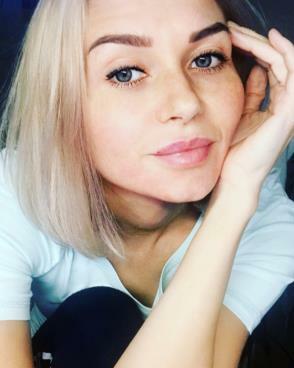 The leader of the famous Russian Communist Revolution of 1917, Vladimir Ulyanov (Lenin), is still omnipresent in Russia, 100 years from that date. 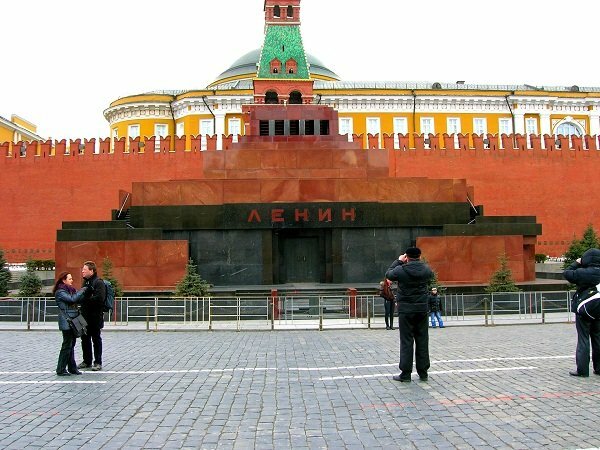 If you want to have a look at Lenin’s embalmed body, visit the step-like pyramid of Lenin’s mausoleum. The building of the mausoleum looks rather small from the outside but it has two underground floors inside. Should Lenin be buried or not? That is a quite regular question because Lenin’s body has been displayed for about 90 years. There are also many rumors considering the leader’s body — some people allege it has been replaced by a wax model. A group of 5-6 scientists (anatomists and biochemists) or the “Mausoleum group” maintains the appearance of Lenin’s body. The mausoleum group was funded by the Russian government until the collapse of the USSR. Today it’s being run from private donations. The is open for only 3 hours a day from 10 am to 1 pm, so you should hurry up if you want to pay Lenin a visit before he disappears for good. It’s quite possible that the body of the communistic prophet will be finally buried, as the Russian Orthodox tradition dictates. Lenin’s embalmed body is still displayed to the public inside the mausoleum. 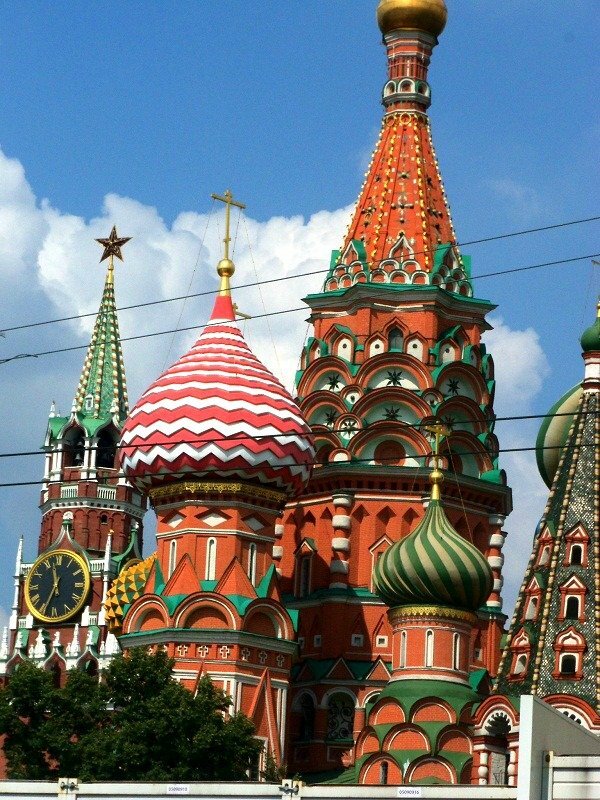 St. Basil’s Cathedral is a real masterpiece and considered to be the epitome of the Russian style in architecture. It represents a spectacular combination of sizes and shapes which has no analogue in Russian architecture and, of course, in the world. The cathedral is named after Basil the Blessed, the Russian holy fool who devoted himself to serving God. He denounced comfort and went naked even during the cold seasons. He was buried at the place of future St. Basil’s Cathedral. It is interesting that the church acquired its current bright colors only at the end of the 18th century. Before that, its domes were either silver or green. It’s now a museum and it’s very beautiful inside. There is also a wooden staircase found in 1970s in one of the walls. It possible to walk along the staircase to get to the central church. Many tourist companies provide English excursions for the travelers from abroad. You can book a tour online in your own language. The company even offers some 2-hour tours for free. They say they love their city and want to share it with the guests regardless of their budget. Once you finished with the sights, walk through the busy shopping arcades of GUM. A variety of brands and stores, cafes and bars can keep you busy for hours and will delight your lady. The quirky ensemble of St. 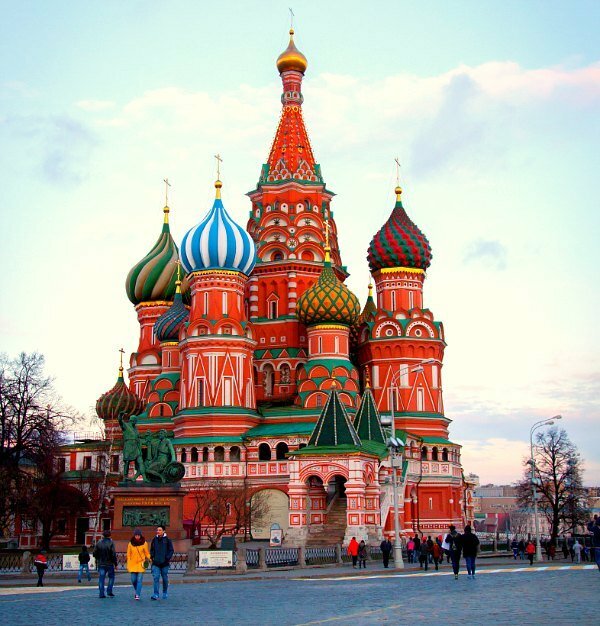 Basil Cathedral on the Red Square is Russia’s most recognized icon. The cathedral’s domes were either green or silver in the past. Moscow GUM (State Department Store) on the Red Square is home to a variety of brands as well as cafes and bars. 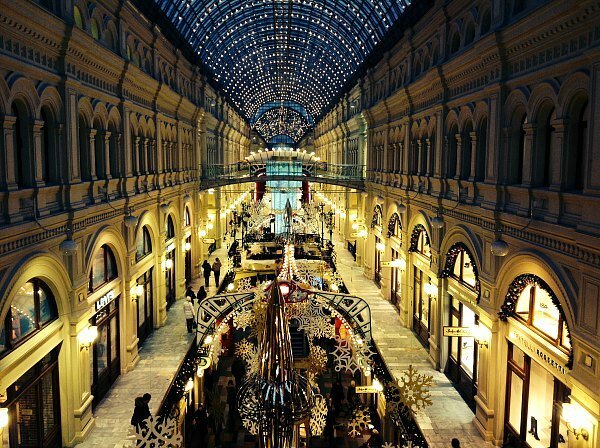 Inside shopping arcades of Moscow GUM during Christmas. Alexander Gardens (Aleksandrovsky Sad) stretch alongside the western Kremlin wall. The gardens were one of the first public parks in Moscow. Take a walk alone or explore it with a tour guide. Alexander gardens that are set at the western wall of the Moscow Kremlin impress with their layout, colourful flowers in summer and monuments. 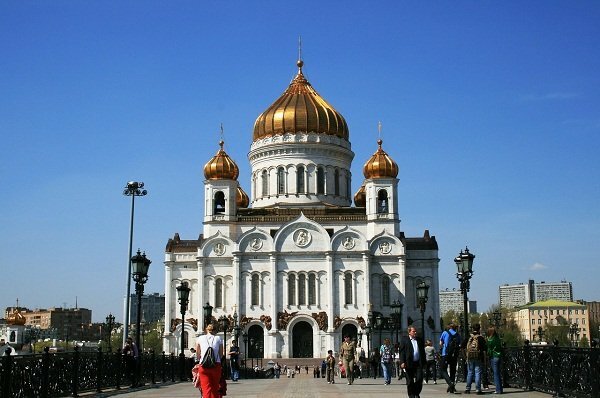 The Cathedral of Christ the Saviour is a grand and stunning Orthodox church in Russia. It was built in honor of the victory over Napoleon in 1812. The construction of the church took several decades and was completed in 1883. In 1931 the cathedral was demolished by the communists. They wanted to build a great Palace of the Soviets in its place. But it had never been constructed. The modern church was rebuilt on the site in 1995-2000. The building looks truly magnificent, and it certainly deserves a visit. The entrance is free. There you can see a lot of unique pieces of religious art and climb to the observation platform. If you need a guided tour, the price is around 10 dollars. The Cathedral is a memorial expressing nation’s gratitude to Christ for saving Russia from French invasion. Gorky Park opened to public in 1928. It was the first leisure park at the time. Today it looks totally different. It has undergone countless changes to become the place that we see today. The park attracts about 20,000 visitors daily. The park is a kind of a green city inside the metropolis. 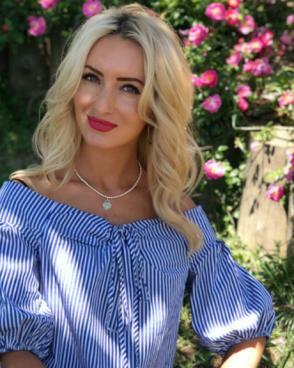 You can do there whatever you want — walk along the Moscow river, play volleyball, have lunch in some of its nice cafes or just watch the locals having a picnic and playing with kids. There’s even a museum of contemporary art called Garage inside the park. If you want to enjoy a proper meal, go to Lebedinoye Ozero restaurant (Swan Lake). The restaurant is famous for its cocktails and deserts. Gorky park is a lovely place to relax with your girlfriend in Moscow. You can take a short river cruise from the Gorky park. Such tours are extremely popular among tourists as they let them see all the city’s main sights from the water. The tours operate 365 days a year. If you want to combine leisure with sightseeing, go to Tsaritsyno museum and reserve. It’s a big park with numerous ponds, fountains and beautiful landscapes in the southern part of Moscow. Apart from nature, one can admire the great architectural ensemble of Tsaritsyno or visit its stunning palaces and museums. 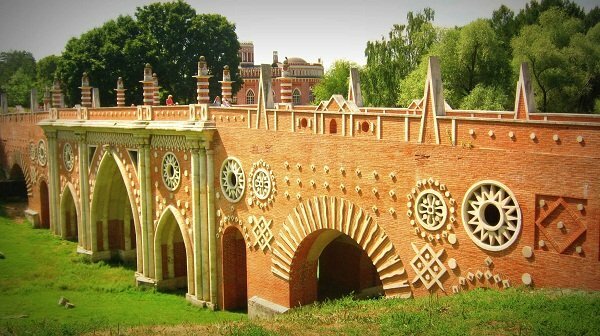 A romantic walk through Tsaritsyno park will let you take in the unusual quickly architecture and talk to each other. Tsaritsyno complex looks fascinating at nights. 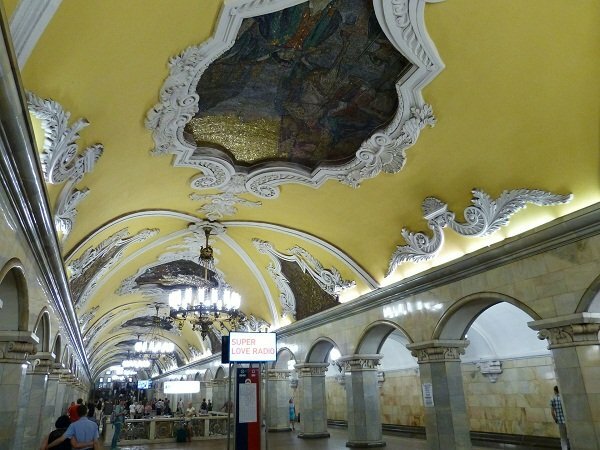 Moscow is world famous for its beautiful metro stations. They are also called “underground palaces”. Every station has its own theme, decorations, and fascinating stories. Some of the most beautiful metro stations are Mayakovskaya, Novoslobodskaya, Kolomenskaya, Prospekt Mira, Park Podeby. You’ll be amazed by the elaborate wall ornaments, gorgeous chandeliers. Park Pobedy station has the longest escalators in the world—you don’t see the end of it standing on the top. Foreigners love using subway to move around in Moscow. From the outskirts to the city centre, you can easily find your way. Just look for the giant letter “M” at the entrance and you will be able to find your way home from anywhere. People in Moscow usually give the name of the closest metro station as the landmark. Palace-like interiors of Kolomenskaya subway station are admired by the city’s guests. Rumyantsevo Metro station, on the contrary, is designed in modern style. Sparrow hills (Vorobyovy Gory in Russian) are located on one of the highest places of Moscow. It’s a great location to get a view of the entire city. Just get to the observation platform and the fascinating panorama will take your breath away. 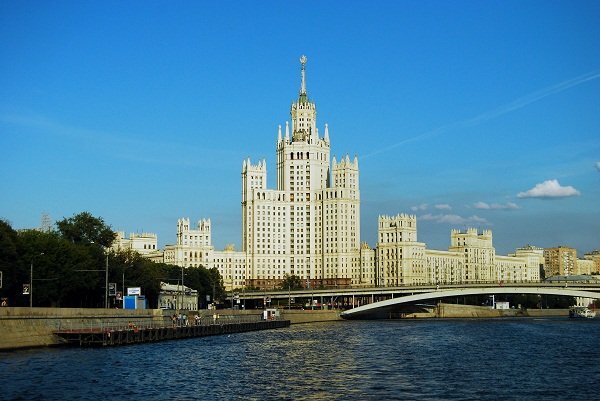 You can also see the Moscow State University, which is nearby. Today the territory comprises a large forest-like park with numerous ponds, bike paths and a big pedestrian embankment. 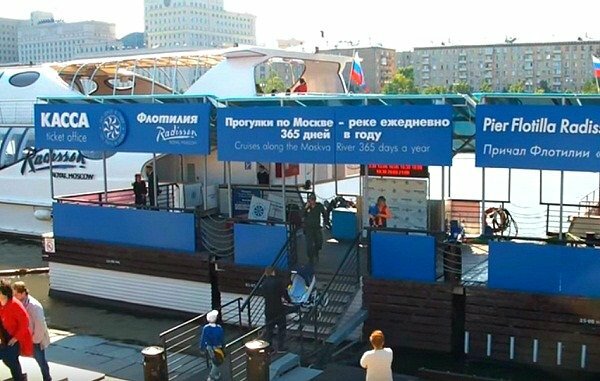 If you want to make a surprise for your girl, go to the river station which is close to the embankment and take a Moscow river trip. Prices range from 10 dollars for a regular ticket to 31 dollars for the first class tips (offering private seats). 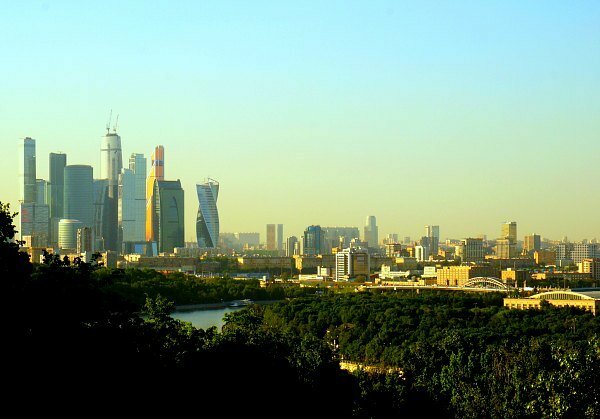 A magnificent view to Moscow City opens from viewing platforms of Sparrow Hills. The building of the Moscow State University can be seen from the Sparrow hills. You can’t leave Sparrow Hills without some souvenirs, as there are many cute gift shops there. The State museum of Fine Art, also known as Pushkin’s museum, showcases the largest collection of European art in Russia. It’s a common thing in Russia to go to a museum on a date. 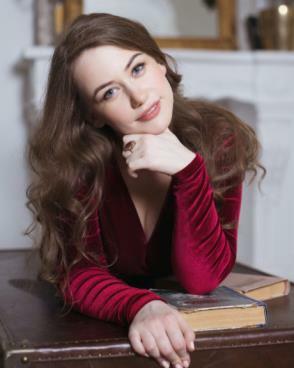 Russian girls like visiting museums to watch new exhibitions. 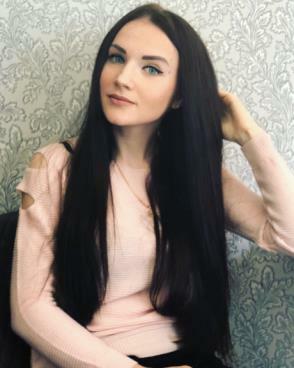 Every time you go to some Russian museum, you will surely meet young couples there. Just remember Serov’s exhibition which took place in Moscow’s Tretyakov Gallery this year. There were a long queue of people waiting for their turn to enter the museum. That is why it would be great to take your sweetheart to Pushkin museum. It has broad collections of foreign art dated from ancient times to present days. After you enjoyed the museum’s exhibitions you can have a cup of coffee in the cafe inside the museum. Museums usually have plenty of quality books not only about the local collection but also about the city’s sights, if you want to take one home. 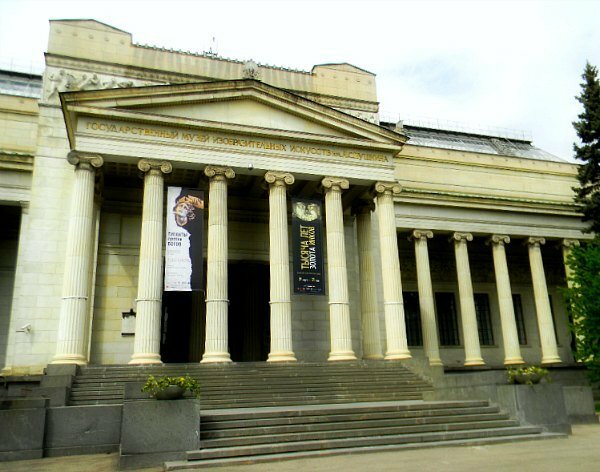 The state Museum of Fine Arts known as Pushkin Gallery showcases an impressive collection of European painters. 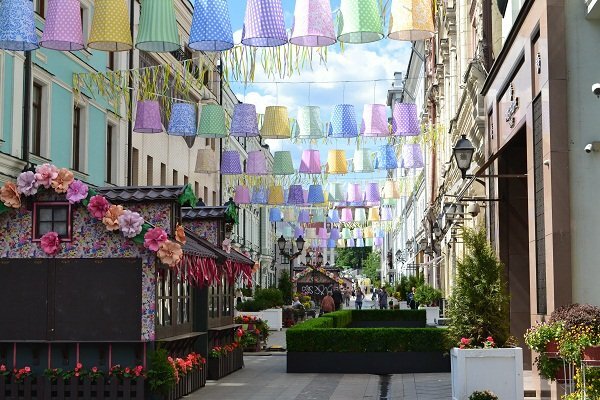 It’s very beautiful in the centre of Moscow this summer. People say they feel like in Europe when they walk along Stoleshnikov Lane. 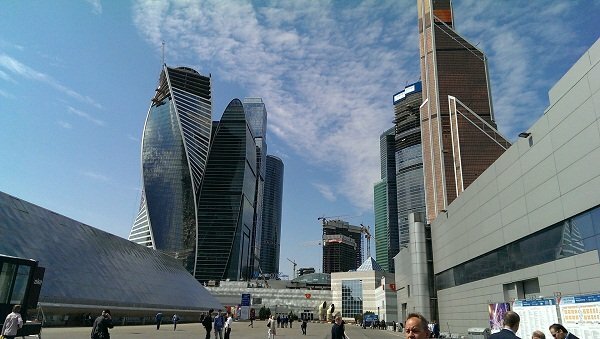 Moscow’s financial district (Moscow-city) is being built on Presnenskaya embankment. Russia is famous for its ballet schools and rich theatre traditions. 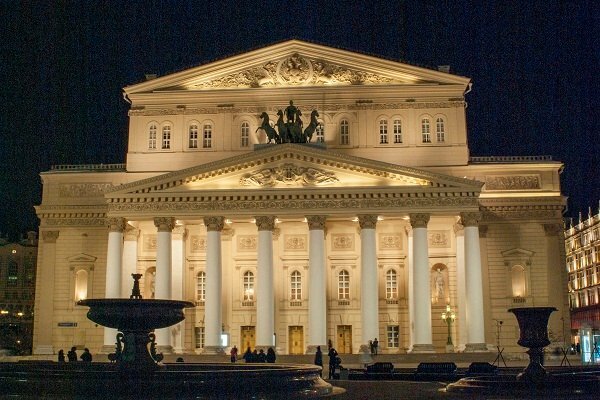 Opera and ballet lovers or just Moscow visitors will get a unique theatre experience when attending one of its grand performances. The building of the theatre is also worth mentioning. The main building was rebuilt several times throughout its history. The history of the theater begins from 1776 when Catherine the Great ordered to construct a place for theatrical performances. The last reconstruction took place from 2005 to 2011. The total cost of the work was about 21 billion rubles ($688 million). The reconstruction works helped to restore the historic appearance of the theatre and its original decor. The tickets are also available online on the theatre’s official website (in English). 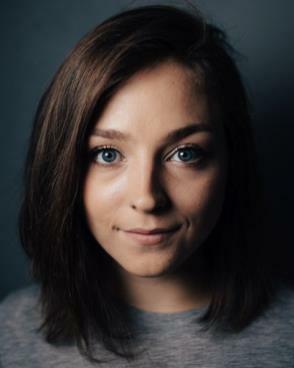 It’s recommended to book the tickets in advance as they are sold out incredibly fast (right now is the end of July and the tickets are sold out until mid-September). Don’t forget to book tickets in advance if you are planning to enjoy an evening in one of the world’s best opera and ballet theatres. 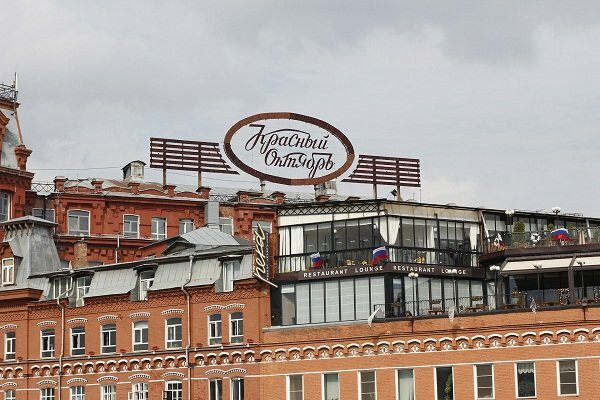 Initially, the sweets and chocolate manufactory was located at Arbat. A few years ago the factory changed into a bohemian island of art. The iconic building made of red brick is still standing but it has nothing to do with chocolate production. A former confectionary plant is now a cultural area and place for a variety of restaurants, cafes and night clubs. One of them, Gipsy nightclub is quite popular and appreciated for quality DJs, crowds and atmosphere until the morning hours. The city tourists like to visit the factory’s art exhibitions, its pretty theatres, design studios numerous cafes and restaurants. If you have some time left, go to the former confectionary. 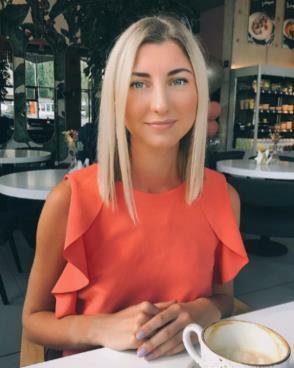 There you can visit art galleries, small theatres, have a delicious lunch and enjoy the view on Moscow river in one of its cafes and restaurants. It’s possible to stay there till the early morning dancing and having a great time in the nightclub called Gipsy. Peter the Great statue in Moscow received mixed reactions from the city citizens. 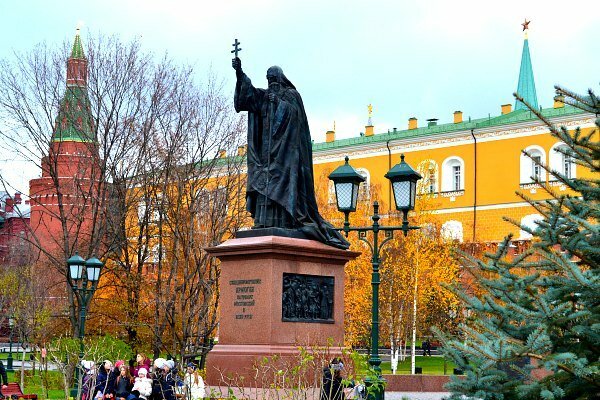 The monument was created to symbolize the greatness and glory of the Russian famous leader. Peter the Great is a stand out figure in the country’s story. His goal was to bring Russia culturally closer to Europe and West. Interestingly, Peter the Great didn’t like Moscow and moved the capital to Saint Petersburg, where it had been located until 1918. This might be why Muscovites don’t rally like the tsar’s statue. Many of them call it ugly and oversized. It’s taller than the Statue of Liberty in New York. Of course, there are also some Moscow citizens who find it amazing. If you want to make your own opinion about the monument, it’s better to see it from a ship deck during a river trip. 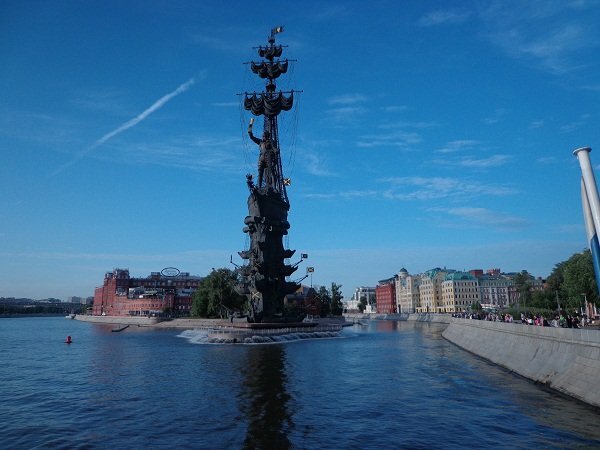 See Peter the Great statue, which is larger than the Statue of Liberty in New York. It looks impressive when viewed from a deck of a boat during a river trip. And here is a bonus… If you still have time in your schedule after checking the usual sights, you might want to do something unconventional. It’s also known as the cold war museum. The top secret command point was built in the 1950s during the Cold War. Its entrance is concealed by an ordinary 19th-century house so that no one would ever think that there is a bunker underground. 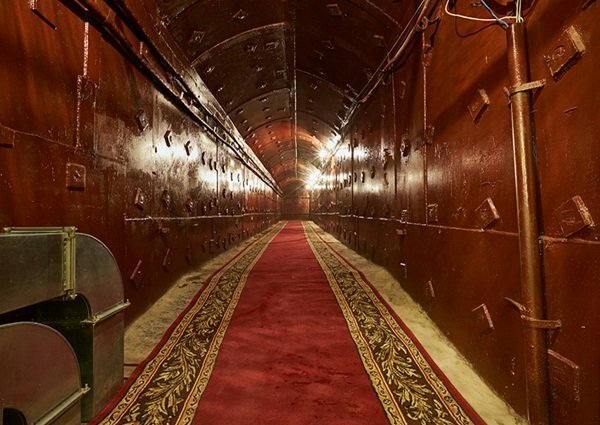 It lies 65 meters (213 feet) below the city surface, which is deep enough to survive a nuclear blast. 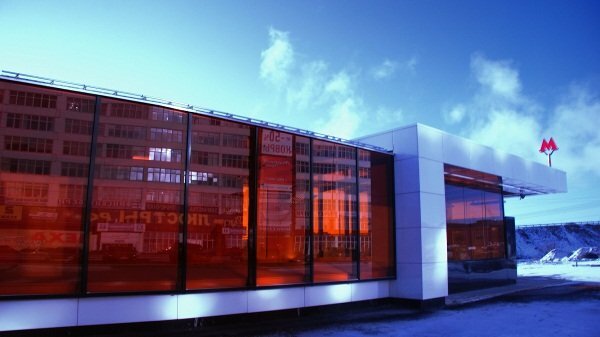 It opened as a museum in 2006. The visitors may explore formerly secret tunnels, try on military uniforms or even press the red button to launch nuclear washeads. The place is historically intriguing and fun to visit. 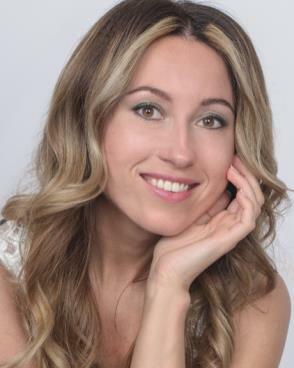 Еlena, Thank you for such wonderful interactive on-line guided tour of Moscow. 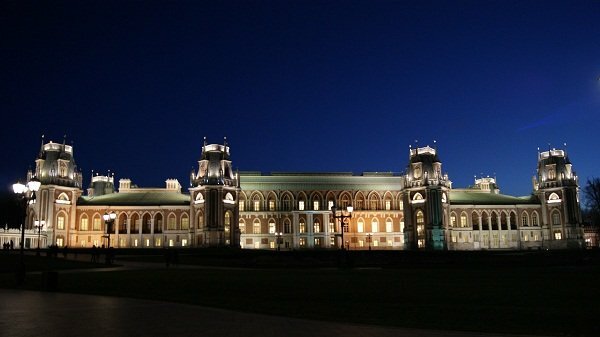 I’d like to mention some extra places for visiting in Moscow as follows: VDNH-(the Exhibition of Achievement of National Economy) with many architectural masterpieces, large and small parks and unique fountains. 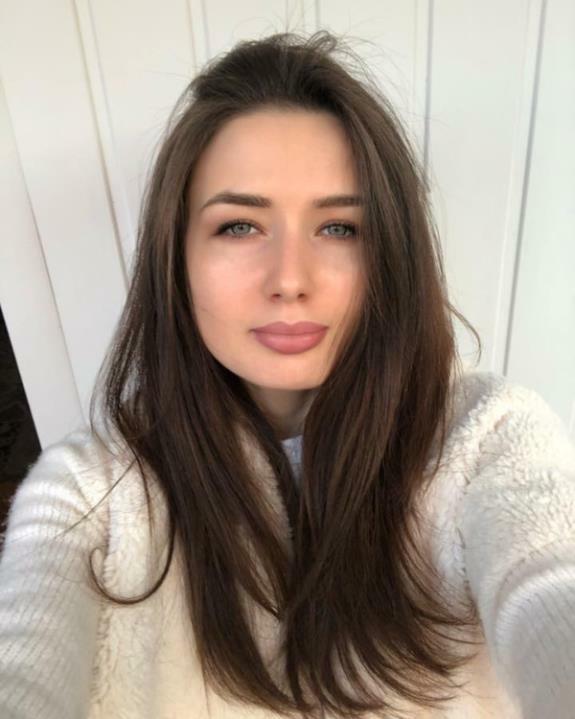 http://vdnh.ru/en/. Also some small parks as Catherine’s park monument of landscape art, Moscow hermitage Garden and Patriarch’s Ponds. In summer time there are many dance floors with cafes with Tango Milonguero Nights in Moscow. 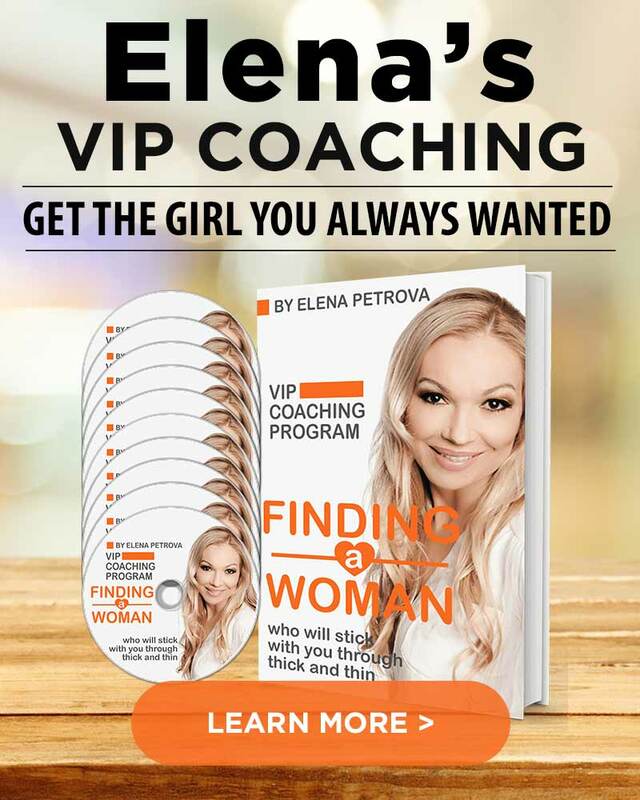 Adilia S, I appologize missing gratitude you for this excellent article. 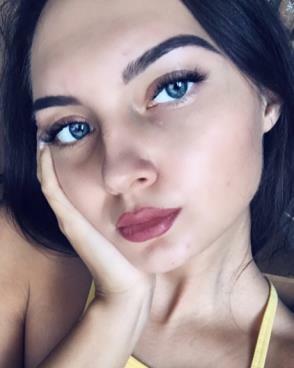 I’ve just noted it was posted by you. Thank you. Best regards. 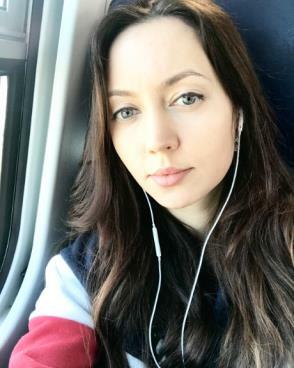 I live in Moscow and I don’t know any place which could be more impressive and incredible than this city. You will never get bored there because Moscow can offer so many entertainments that you couldn’t ever imagine! And this list of interesting places of Moscow is very cool, everyone must visit them. I just want to add to this list Filevsky Park (Park Fili). It’s such an amazing place, you won’t be disappointed!